Fresh Beet, Kale & Lime JuiceMy credit card points were never going to amount to a free flight to anywhere, so I used them towards a juicer instead. I’m usually in too much of a hurry to make breakfast in the morning, so hopefully 2 minutes with the juicer will help me avoid eating too many breakfast sandwiches from Court Street Grocers. This made enough for about 6oz of juice. It’s sweet & tangy with a little earthy undertone. 1 medium-sized Beet3 cups fresh Kale1 limePulverize in a juicer. Stir a little. Drink. I opened a can of pickled beets during a snack attack two days ago and after realizing high fructose corn syrup was an ingredient, quickly resolved to pickle my own. I have little experience with pickling vegetables, so I used this recipe as inspiration and went from there. Pickled Beets 3 beets, with greens removed2/3 cup cider vinegar 1 1/2 tbls olive oil1 1/2 tbls sugar 1 tbls dijon mustard1 clove garlic, cut into fourthssalt & pepper to tasteBring a pot of water to boil (you could also roast the beets in the oven at 350, but this takes a bit longer) add beets and boil for about 30 minutes or until you can easily pierce them all the way through with a knife (I undercooked mine, oops). In a medium-sized bowl, whisk together vinegar, olive oil, mustard, sugar and salt and pepper. Add garlic and allow to sit while beets cook. 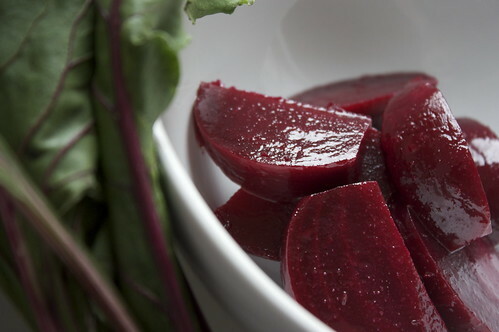 Remove beets from heat an drain, running cold water over them to cool them to the touch. You should be able to easily removed the skins with your hands at this point. 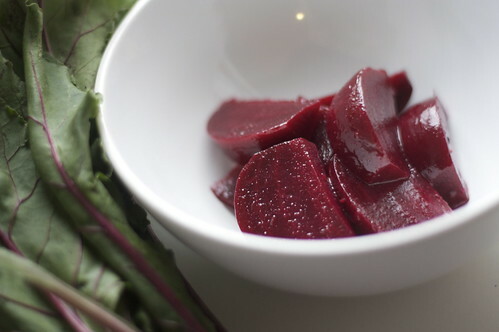 Cut the beets into even wedges and toss wit h the vinegar mixture. Allow to marinate for at least 30 minutes, but even better, overnight. 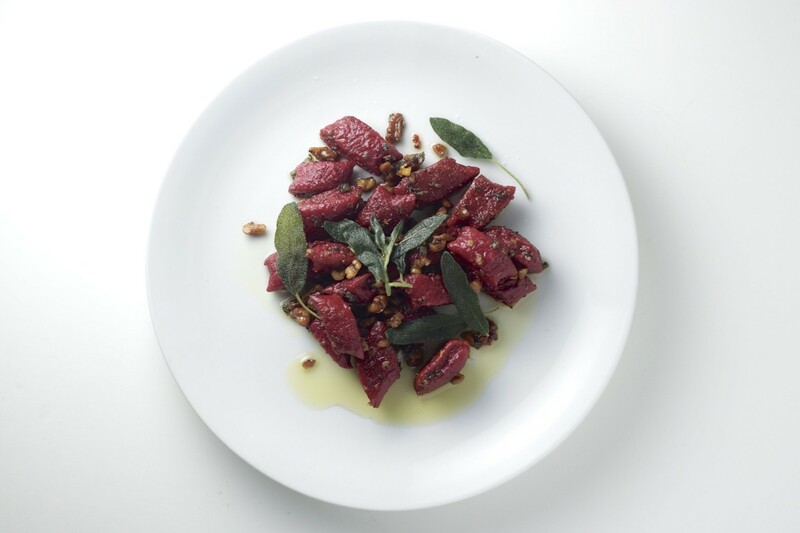 If you’ve never worked with beets before, be forewarned – they are as messy as they are delicious. They can and will stain everything, including your hands, so be careful. That being said, beets are one of my favorite vegetables. There’s something about their sweet earthiness that I can’t get enough of. In fact, I’ve used them to infuse vodka! I have the greens leftover, so I’m considering using the deep red beet vinaigrette left over from the pickling as a dressing. 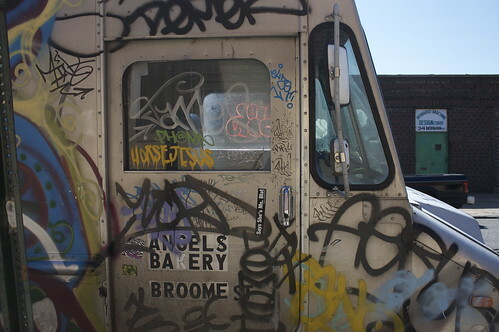 And I end with a nicely spray painted bakery truck.